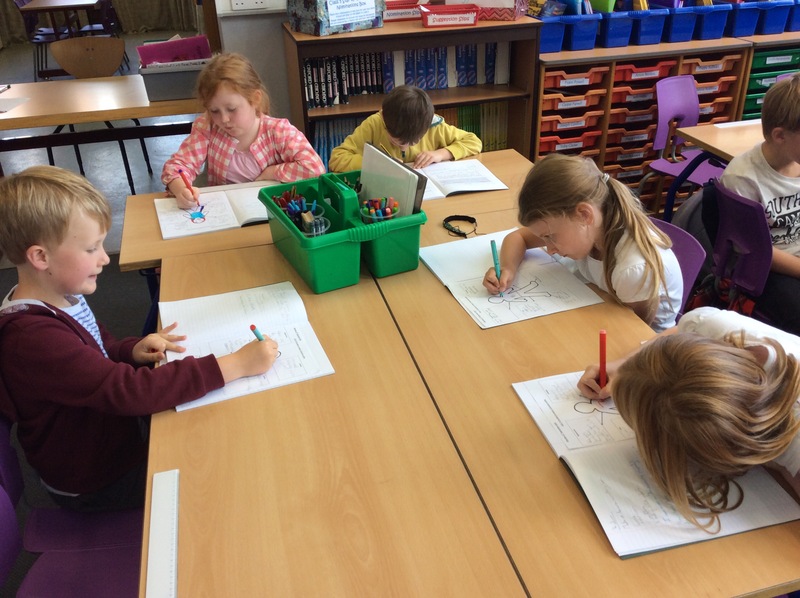 On Monday in class 5 we began the planning stage of writing our own stories, similar to the book we have been looking at (George Saves the World by Lunchtime). Firstly we had to create a main character who would be the superhero. We used ourselves to create these heroes and we are going to put our own names in the title. Make sure you check back over the next two weeks to see how we are getting on!